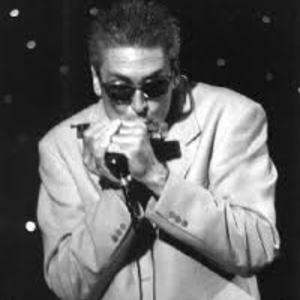 ROD PIAZZA (1947.11.18/Riverside, CA - ) is a blues harmonica player and singer. In a 2006 interview, Piazza cited Little Walter as a major influence, as well as early exposure to Jimmy Reed, Earl Bostic, Big Joe Turner. In 1965, at the age of 18, he formed the Dirty Blues Band in Los Angeles. Soon after, in 1967, they released their first self-titled album on ABC/Bluesway Records. This was followed by "Stone Dirty" in 1968. In 1965, at the age of 18, he formed the Dirty Blues Band in Los Angeles. Soon after, in 1967, they released their first self-titled album on ABC/Bluesway Records. This was followed by "Stone Dirty" in 1968. After it's release Rod left to team up with his idol George "Harmonica" Smith who once held the prestigious harpman's seat in the Muddy Waters band. It was during this time that Bacon Fat came to be. Their debut album, "Grease One for Me", was released in 1970 on the Blue Horizon label. This was followed in 1971 by "Tough Dude". Bacon Fat toured the country backing up, and recording with, such blues legends as Big Mama Thorton, T-Bone Walker and Big Joe Turner. While still performing with Smith, Piazza released two solo albums. "Rod Piazza Blues Man" in 1973 on LMI Records, and 1979's "Chicago Flying Saucer Band" on Gangster Records. In 1973 Rod met keyboardist Honey Alexander. Together they formed the Chicago Flying Saucer Band in 1976. The Mighty Flyers soon followed. Formed in 1977 it featured Bill Stuve on accoustic bass, Junior Watson on guitar, and Willy Swartz on drums. They began playing clubs in 1980 and released three albums - Radioactive Material (1981), File Under Rock (1984), and From the Start to the Finish (1985). Also during this time Piazza became a session man working with a variety of musicians including Pee Wee Crayton and Michelle Shocked. He also released two solo efforts. 1986 saw the release of "Harpburn" on Murray Brothers and "So Glad to Have the Blues" followed in 1988. The end of the eighties produced one more important event. Rod and Honey were married in 1989 and began their non-stop touring. It wasn't until the nineties, after twenty-five years of hard work, that the band truly took off. Two studio records were released. "Blues in the Dark" in 1991 and "Alphabet Blues" in 1992. The turning point was 1993 when the band's "Live at B.B. King's Blues Club" won the NAIRD (National Association of Independent Record Distributors) Award Winning Album of the Year. The Mighty Flyers signed with Tone-Cool Records in 1997 and released the critically acclaimed "Tough and Tender". In 1998 the band received six nominations at the W.C. Handy Awards which are considered the blues equivalent of the Grammys. And Rod walked away with the Best Instrumentalist Harmonica award. The band was nominated for four awards in 1999 and four in 2000. The Mighty Flyers also won Blues Band of the Year in both those years.